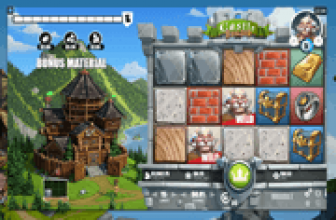 Wolf on Win Street Online Slot: Invest of Wolfie Wilds, the Icon Awards Instant Bonuses and More! Wolf on Win Street is a 20-payline online slot by Core Gaming, which can be accessed at online casinos supported by the NYX gaming platform. Carrying a stock market theme, this game features a cartoon Wolf stock broker named Wolfie. He awards instant bonuses on Wolf Wild Symbols during paid spin symbol-exchanges. Moreover, Wolf Wilds that appear during free rounds are expandable and at the same time, tradeable. During base game sessions, five (5) types of Reel Modifiers occur at random. In separate and arbitrary instances, potential Wolfie Wild Bonuses increase by way of high-value Multipliers. Bars and Line Graphs may move across reels, and leave behind full and/ or partial displays of Stacked Wild Symbols. The most exciting random event is when the Stock Market Ticker flashes with BONUS signs, as it could set off a free round. Two (2) types of Wild Symbols appear as eligible substitute icons: a Stock Exchange Building Wild and a Wolfie Wild. Both Wilds can represent any regular-paying icon to help complete or lengthen a one-of-a-kind convergence of symbols in any payline. They can also organise as a winning combination; awarding 2x, 100x, 200x or 500x the Coin Bet on a 2, 3, 4 or 5-symbol Wild win. Wolfie Wilds are more potent because they can earn players an instant cash bonus. 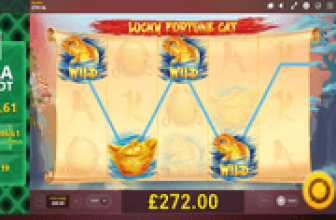 Wolfie Wilds Bonus is awarded if a Wolfie Wild icon lands on a reel with a live Stock Market Multiplier or Bonus index; earning players the corresponding cash value (Total Bet x Bonus Multiplier), or a bonus event indicated. This feature though happens only during base game sessions. 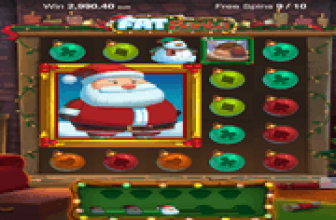 Three, four or five Red Phone Bonus icons simultaneously positioned anywhere across the play area, correspondingly activate 6, 7 or 8 Free-Spins. In addition, the Red Phone Scatter combo draws a so-called Welcome Bonus equal to 5x, 7x or 10x the Total Bet, respectively. Here, a Wolfie Wild emerging in any reel, expands to cover the entire column. Ordinarily, the Wolfie Wild Reel locks in place until completion of the bonus engagement. However, Bonus Game Wolfie Wilds are also tradeable. Players can sell them based on a current trade price offer. After a Wolfie Wild has expanded, the screen flashes with a KEEP or SELL offer. If a player prefers to keep the Expanded Wolfie Wild it will stay in that position until the end of the bonus round. Now if a player decides to sell it, he or she can collect the amount offered as Trade Price, while the Expanded Wolfie Wild will be taken out of the grid. Accepting a Trade Offer though does not take away the possibility of another Wolfie Wild showing up as outcome of remaining bonus spins. Yet, there is also a possibility that a player may no longer chance upon a Wolfie Wild after a trading event. Should a player decide to keep the Wolfie Wild Reel and another shows up and expands thereafter, the same trading offer will be extended. This time, accepting the cash value offered as Trade Price, will remove both or all Wild Reels in place. Still, Wolf on Win Street Game Info states that a bonus game may yield up to 5 Wolfie Wilds but without guarantee that all 5 will materialize during an ongoing bonus round. Take note that Red Phone Scatter icons will no longer appear during bonus rounds; a condition that eliminates any chance of retriggering a bonus round. Crazy Stocks is an event that spikes up the value of the Wolfie Wild Bonus Multipliers flashing above the reels. Market Crash transpires when a Line Graph leaves Regular Wilds on the Peak and Trough points of Wolfie’s stock price movements. Bonus Chance – This feature places BONUS icons in the Stock Market Indices flashing above the reels. If after a spin a Wolfie Wild lands on any reel in which a BONUS emblem is on display, the event instantly sets off a bonus round. Wolf on Win Street online slot features a versatile Wolf Wild that not only acts as Extra Wild card. A base game Wolfie Wild can earn players an instant cash bonus if it lands on a reel with a Total Bet Multiplier. Free Round Wolfie Wilds, on the other hand, expand as Sticky Wild Reels. They are also tradeable, as players can sell them in exchange for an instant Bonus Prize. Trade offers may again be extended if another Wolfie Wild emerges as spin outcome; albeit subject to certain exchange conditions.